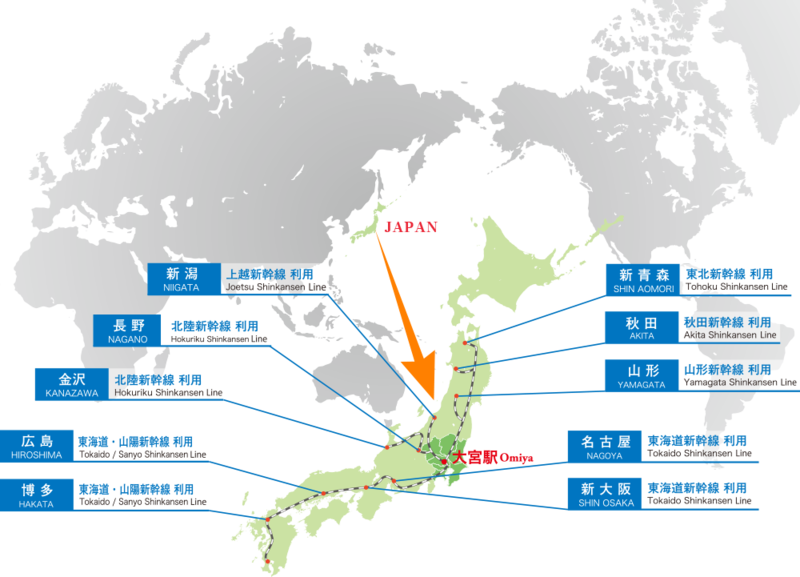 A transport hub for East Japan with 5 Shinkansen lines,including the Tohoku and Joetsu lines,private railways and many Japan Railway(JR) lines! 120 minutes by Airport Limousine from the Naeita Airport and 80 minutes by Airport Limousine from the Haneda Airport! 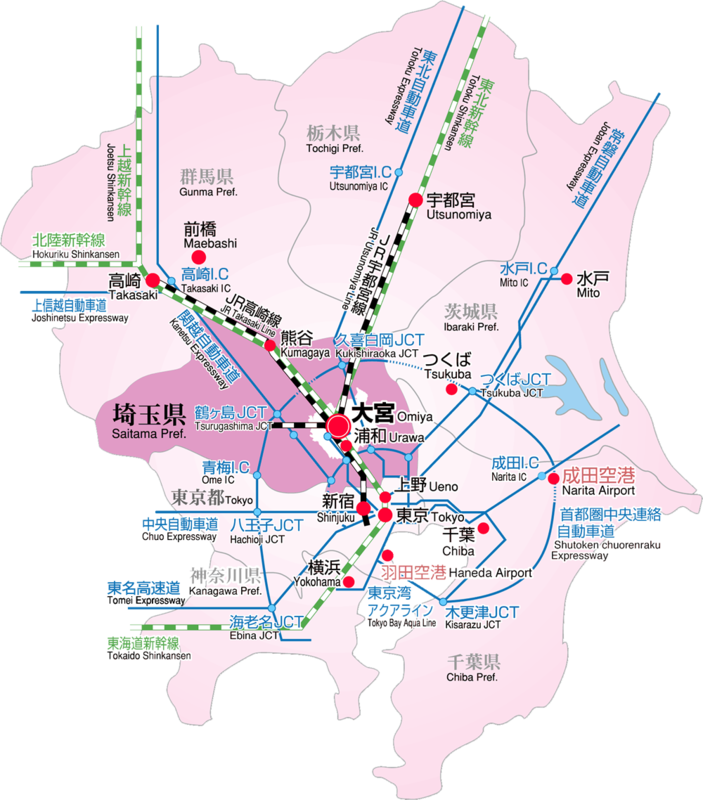 Located near the Center of the Kanto Plain with excellent accessibility by cars! Just 30 minutes from Tokyo! Copyright © Saitama Sport Commission. All Right Reserved.